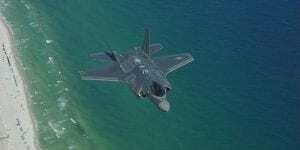 U.S. President Donald Trump signed the National Defense Authorization Act (NDAA) on Monday, which includes a $550 million assistance package to Israel and temporarily halts the sale of F-35 fighter jets to Turkey. This comes amid tensions between the United States and Ankara, which is currently holding an American pastor hostage, among other political moves. The annual military blueprint also temporarily blocks the U.S. delivery of the F-35 fighter jets to Turkey in response to the detention of American pastor Andrew Brunson, whom the country accuses of participating in the failed 2016 coup against President Recep Tayyip Erdoğan. Earlier this month, the United States slapped sanctions on two top Turkish government officials involved in Brunson’s detention. The White House also placed aluminum and steel tariffs on Turkey, and Trump said last Friday that he approved a doubling of those tariffs. The tariffs and sanctions have caused Turkey’s currency, the lira, to crash. Regarding U.S. sanctions and tariffs against Turkey, Abdulkader said that this pressure campaign cannot be limited to the country’s custody of Brunson. 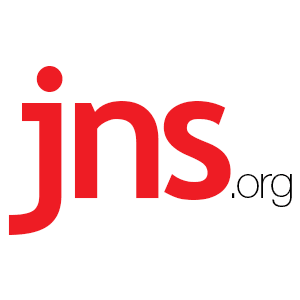 Aykan Erdemir, who served in the Turkish parliament from 2011 to 2015 and serves as a senior fellow at the Foundation for Defense of Democracies, told JNS that the relationship between America and Turkey goes beyond the F-35 jets. The first issue on the U.S.-Turkish relationship is that as the bilateral crisis between the U.S. and Turkey deepens, the economic crisis gets worse,” he said. The Senate Foreign Relations Committee passed a bill last month that would block Turkish access to international financial resources, such as the International Monetary Fund.